Yesterday was such an exciting day at the Miami SkyPlanner office. We had Rodrigo Moreno from Business in 360 take photographs of every inch of our office so we can share a virtual tour with our clients. Rodrigo is a certified, trusted photographer with Google. Rodrigo's clients include The Collection in Coral Gables, Ricochet Bar and Lounge and LMNT Arts to name a few. Thanks to him, you'll get to see where your Miami Salesforce consulting team hangs out and codes all day. You'll see our conference room, our brainstorming area and where all the CRM and Salesforce customization magic happens. Soon, when you search for SkyPlanner on Google, you'll be able to see panoramic images of our home away from home. The photoshoot didn't take too long. Even preparations weren't planned way before. We cleaned up here and there and showed up in our best button down shirts. Stay tuned, we'll be posting our photos and you'll be able to virtually walk through our SkyPlanner office in Miami. Most if not all businesses rely on sales numbers. In the buying and selling dance, you need to be able to uncover a need, create urgency and get commitment. Sometimes we can lose our cool during a sales conversation, get excited or go off the script, but these sales tips can help you sell more effectively. Ask about the decision process. Your Miami Salesforce consulting company knows that sales reps have to truly be clear on how decisions are made at the prospect company. SkyPlanner Partners like to know who's involved from the very beginning, because not knowing might lead to a big waste of time. At the end, stakeholders, legal or other departments might have to be the ones to make the final decision. You want to talk to the right person right from the start, so look out for vague answers and aim for details. Ask about business priorities for the year. Your Miami Salesforce consulting team reminds you that you want to make sure the solutions you're offering align with the problems or concerns they have. This helps with accountability as well, because when you fully understand what is asked of you, you can plan and implement a strategy that you can hold your client responsible for. They become part of the journey and the transaction is more of a partnership. Ask if they're comfortable saying no. People typically like to please other people, so you want to make sure your clients are comfortable to be honest and direct with you. If they currently don't have a budget or they're not interested in a custom solution you are offering, it's better to know that upfront. SkyPlanner Partners reminds you that you don't want to be avoided. You want to get a yes or a no as quickly as possible so you can move into your next endeavor and prospect clients. Ask if they'll be your champion. A sales rep doesn't want a coach or even a fan, they want a champion. You want someone that can get you the budget you need. A champion doesn't have to be the ultimate decision-maker, but he or she has to be very influential. They need to be able to gather resources, talk to the right people on your behalf and trust you will do a good job. In other words, they're your ambassador. 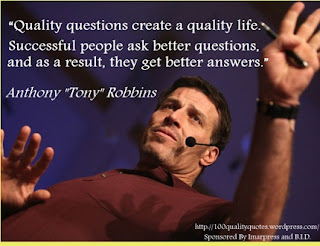 So we're sure you've heard of Tony Robbins, the motivation speaker, life success coach and self-help author who's dedicated his life to help people achieve their dreams. He's written Unlimited Power, The New Science of Personal Achievement and Awaken the Giant Within. His work has been featured in Time, Newsweek, Fortune, Forbes and Business Week. As one of the Top 50 Business Intellectuals of the World, he shared some of his sales insights on Salesforce.com's blog. Your Miami Salesforce consulting company is here to share his advice. Skyplanner Partners learned Tony Robbins views on everyday sales is to have a sense of meaning. According to the motivational speaker, walking into the office and checking your email is not enough. When you're at work, you have to know what you're going to get done before you dive in. Know your purpose, make an impact on your day. That's how you're Miami Salesforce consulting company starts their day. Our project manager knows the status of every single job and delegates to all of our developers. Whether you've won the sale or lost, make sure you spin the experience in a positive way. Your response is very important, it helps keep you in the game and ready to tackle the next big thing. 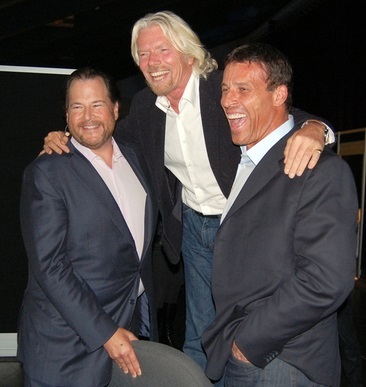 Your Miami Salesforce consulting company agrees with Tony Robbins: No interaction with a sales representative is neutral. It's either good or bad. So always know your strengths and weaknesses and use them to the best of your knowledge. Ask yourself what drives you? What empowers you? Is it your fears? Competitors? At SkyPlanner Partners for example, it's cracking that problem for our clients. We're driven by finding solutions to make our clients' lives easier and have their companies operate more efficiently. Something crazy always happens in sales. Get used to it! When a new situation arises, deal with it and learn from it because it will happen again. Here's to happier clients and higher sales numbers!